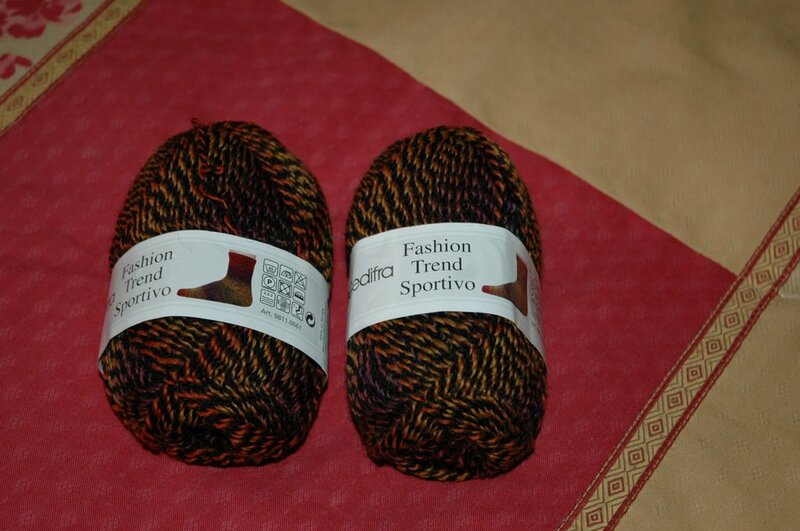 It is Gedifra Sportivo-lovely and soft-similar colouration to the Trekking XXL. 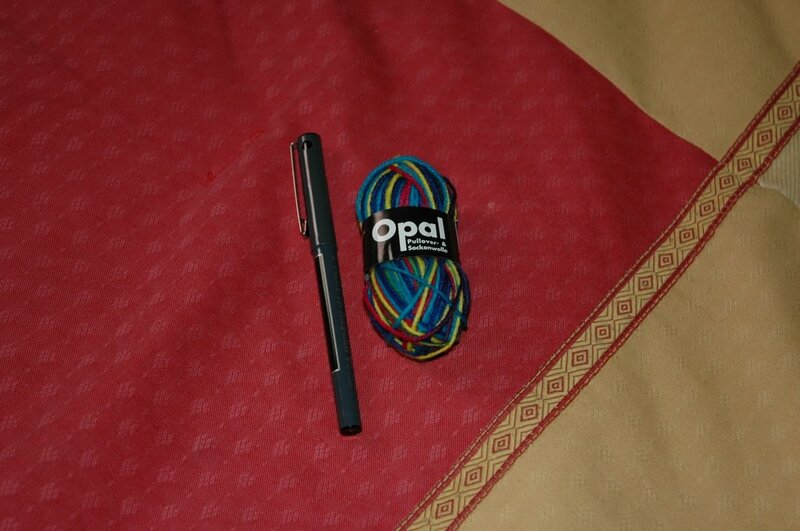 The scrawl is actually made out of this yarn. But she tossed in a little surprise for me- a tiny tiny ball of Opal-I took the picture with a pen beside it for scale. Isn't it cute??? Anyhow-you, too, can own these lovely gifts-by ordering from Shelley's on line business! (Just go to her blog, the links are there). She has a shop on Quadra Island, B.C.-I would LOVE to go and see it-it looks like such a lovely place to shop! I even ordered some Fun Knits sock yarn (a custom dye by Lorna's Laces). I also wanted the Quadra Island dye job-but...maybe next time. Another blogfriend (Peg, from http://peg-woolinmysoup.blogspot.com/) has apparently been there. I guess I will just put it on my list of things to do, places to go, people to meet. Hmmm- I wonder what else I should put on my list????? Hmmmmmmmmmmmmmmmm.